About one year ago in a Buzz post I recommended that the individual Longmeadow school websites be integrated (or upgraded) into the new School Department website using the Google Sites- a free content management program offered by Google. At that time I had found that there were "stipends" for webmasters for each school + the school department adding up to $10,815 for FY11. There were also similar budget items for FY09 and FY10 and for prior years. The current FY12 budget includes a similar amount. I believe that these budget line items have been in place for at least 5 years so the Longmeadow School Department has spent ~ $50K maintaining the individual schools and school department websites. The appearance and functionality of our individual school websites certainly did not reflect this level of expenditure. It is good to see that three of our schools (Longmeadow HS, Glenbrook MS and Williams MS) now have upgraded websites using the Google Sites software that better reflect the quality of education in our schools. Hopefully, the remaining schools (Wolf Swamp, Center and Blueberry Hill) will be upgraded shortly. The Town Manager's Website Taskforce (now disbanded) recommended the use of a different CMS software package... Wordpress.. because it was ready to go "right out of the box" and it was FREE. In addition, the Taskforce recommended that there was no need for a webmaster since this was considered an outdated approach to effective website management. Town employees could be trained to effectively post information on a daily basis. Anyone who has visited the town website recently knows that approach has not been working well and our website certainly does not rank very well with websites for many of our surrounding communities. 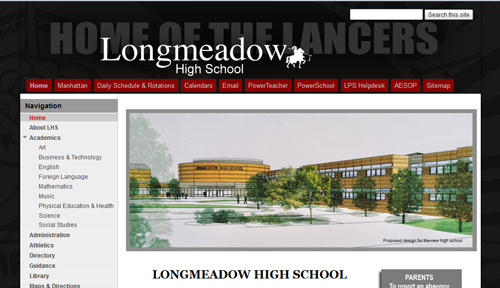 If our IT department is now responsible for Town Government IT services, why is the appearance and functionality of new Longmeadow High School website so much better than our new town website? It's beginning to sound like our Select Board should be asking the SC for a MOU (memorandum of understanding) for IT support.... let's hope not! At least Town Government can reverse the IT consolidation since it is not mandated by the Town Charter. 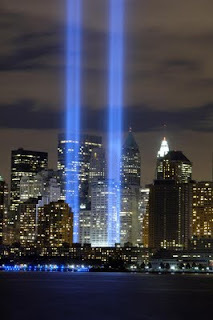 We are coming up on the 10th Anniversary of September 11th. Throughout the years each of us has been keeping the day in our own way, remembering the friends and family we lost on that day. As a town we should come together this year and remember those we lost, and honor our residents who have entered the services to protect us. We are planning a meeting this Thursday (August 25) at 12:30 PM at the Longmeadow Adult Center to gather ideas and begin planning. Please join us. If you cannot come and would like to participate please drop me an email or call me and I will include you in all future meetings and plans.